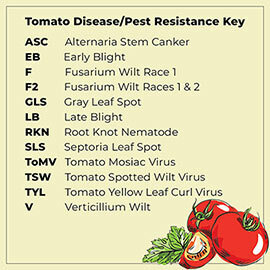 Try this tomato in your cooking, and you'll never go back! Its elongated, bright red fruit is well known for being meaty and extremely flavorful. 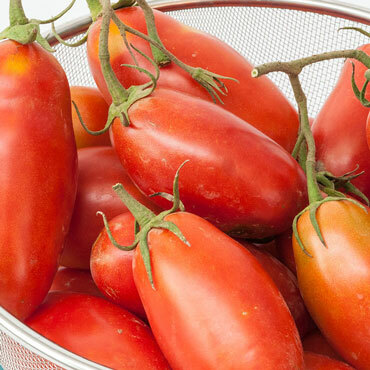 Preferred in Italian cooking, San Marzano has long been popular in the culinary industry. Try it raw in salads, chopped into pico de gallo, sliced on sandwiches, or nestled between slices of mozzarella and leaves of basil. It's also delicious when cooked in your favorite tomato sauces and soups. The seeds prefer well-drained soil in full sunlight. Prune back by cutting out the auxiliary stems between the stems and the leaves, which will help the plant produce larger fruit that ripens earlier. 85 days to maturity. Depth: Plant seeds 1/4 inch deep. Plant the plants at the same depth it is in the pots. Days to Maturity: 85 days. Fruit: Elongated, red fruits, meaty and very flavorful. Soil Preference: Well-drained, deep fertile soil. Pruning: Prune by cutting out suckers (auxillary shoots between the stems and the leaves) to produce larger fruit. Fruit also ripens earlier since the sun can reach it more easily.